Cemetery/Memorial: St. Nicholas British Cemetery, Pas de Calais, France. Grave Reference: I.L.17. Additional Info. 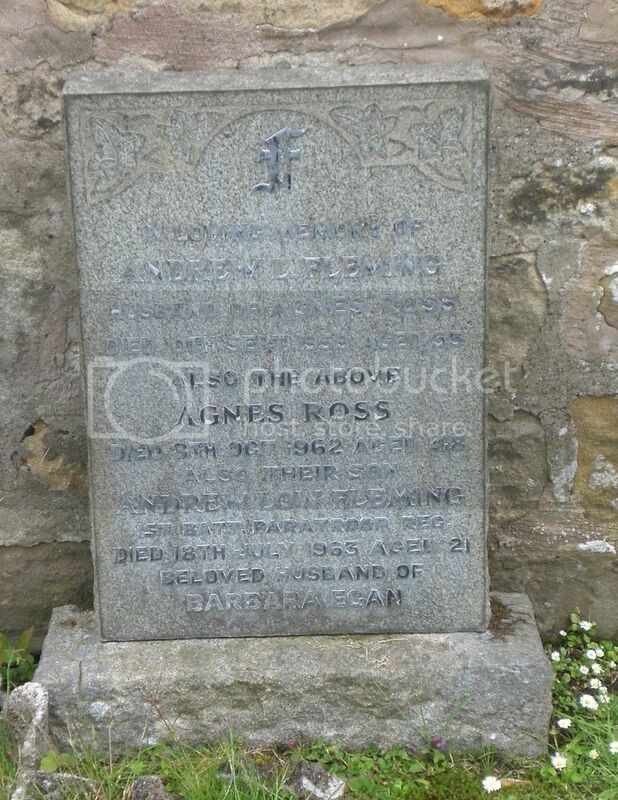 Son of John and Janet Rankin; husband of Agnes Davidson Rankin, of 27, 13th St., Bowhill, Cardenden, Fifeshire. 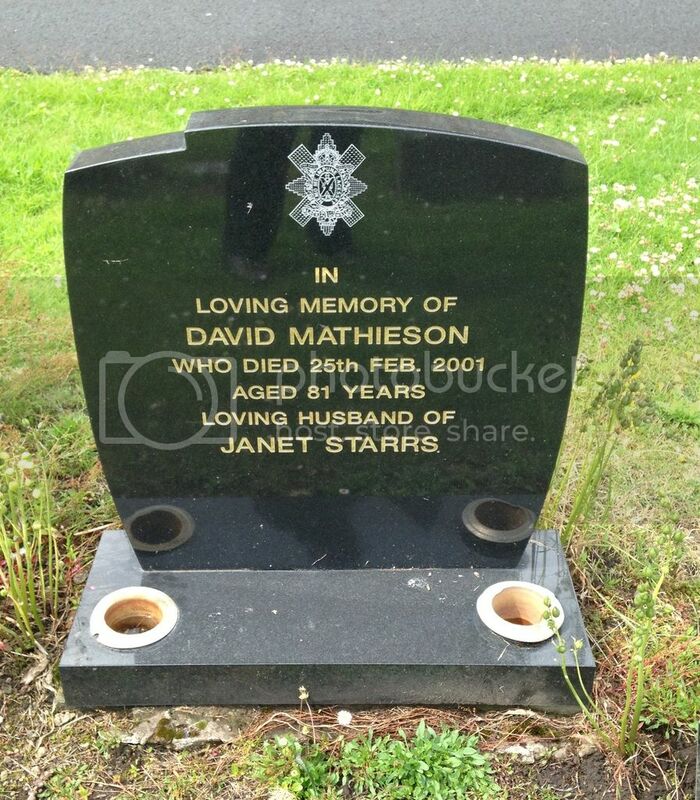 Born in Ormiston, Mid-lothian. Formerly Service No. 10217, The Queen's Own Cameron Highlanders. 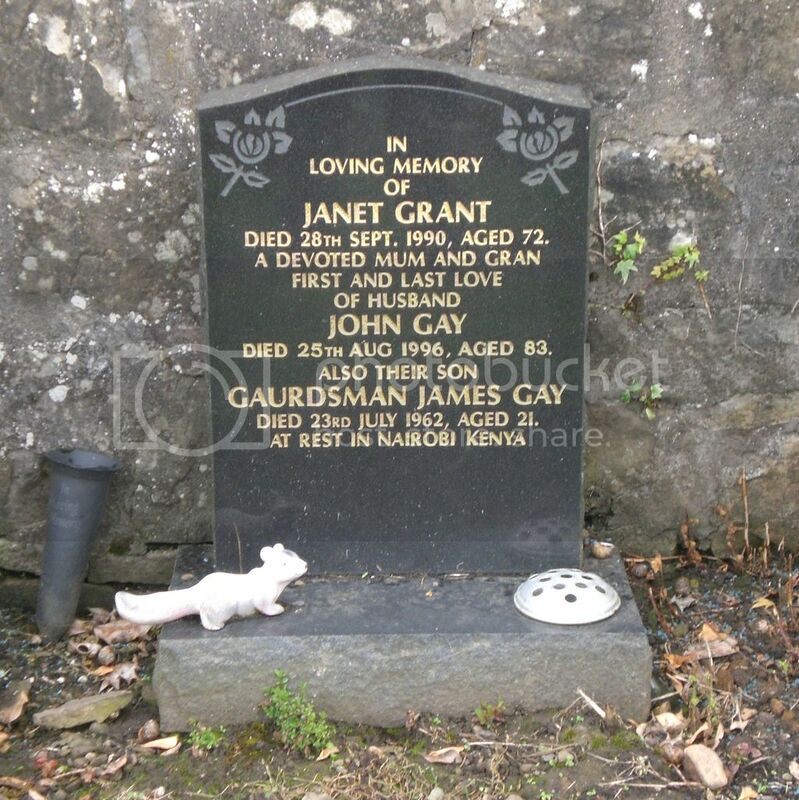 Headstone in France reads' Time Quickly Flies But Loving Memory Never Dies'. Additional Info. 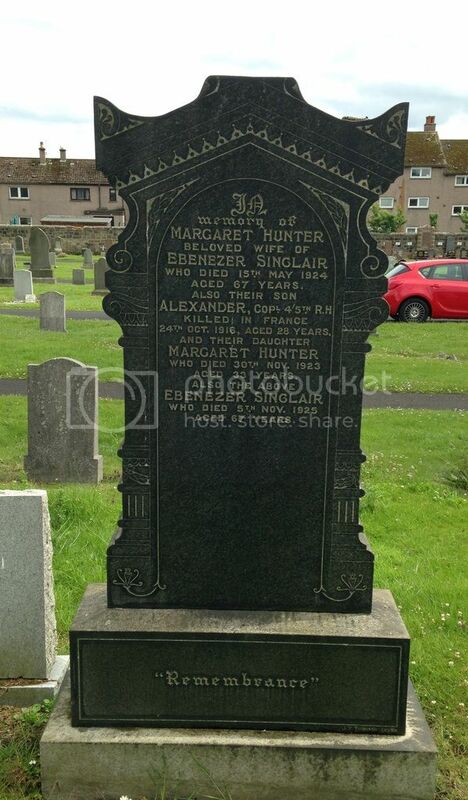 Born Auchterderran; Son of Ebeneezer and Mrs Margaret Hunter Sinclair. CWGC & SNWM have Dates of Death as 23rd October 1916 and rank as Private. 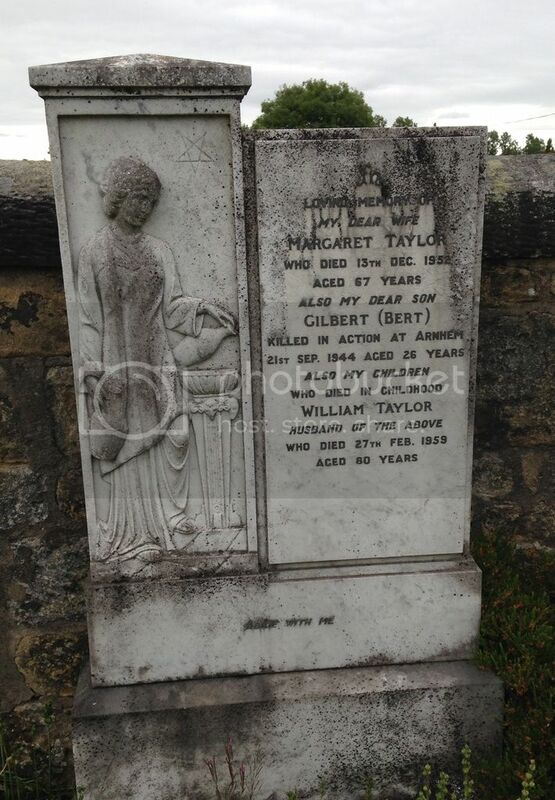 Family Headstone has Date of Death as 24th of October 1916 and rank as Corporal. Additional Info. 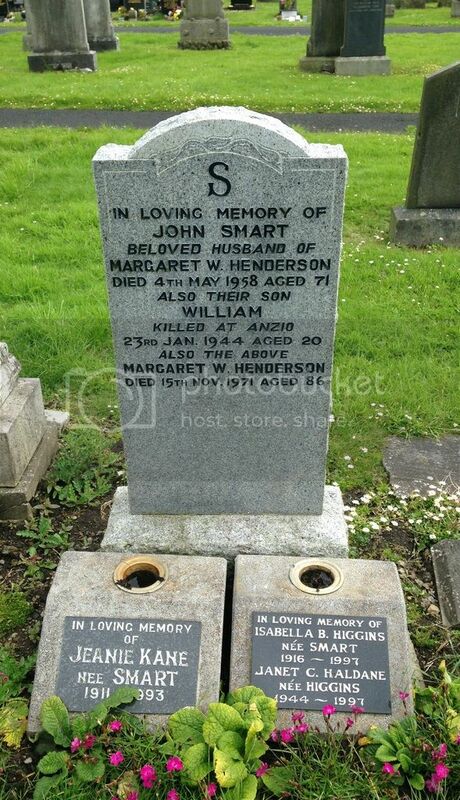 Son of John & Margaret Henderson Smart of Cardenden, Fife. Died participating in the Anzio-Nettuno Advance Landings, West Coast of Italy. Cemetery/Memorial: St. Sever Cemetery Extension, Rouen, France Grave Reference: S. IV. I. 22. Additional Info. 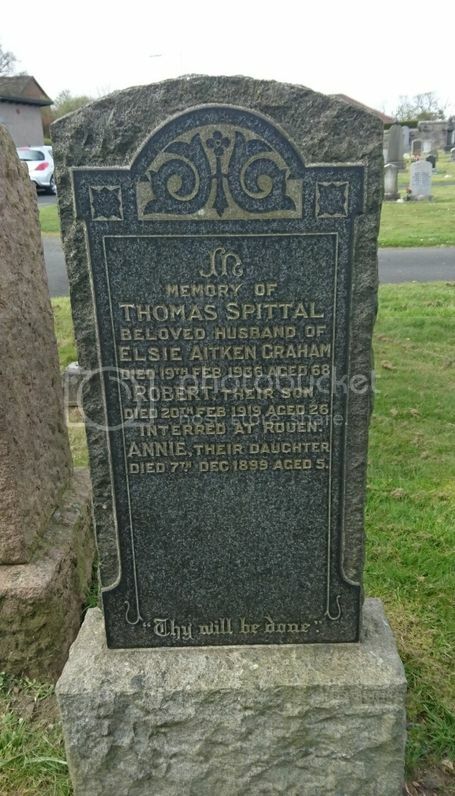 Son of Thomas and Mrs Elsie Aitken Graham Spittal. Cemetery/Memorial: Beersheba War Cemetery, Palestine (Including Gaza) Grave Reference: P. 23. Additional Info. 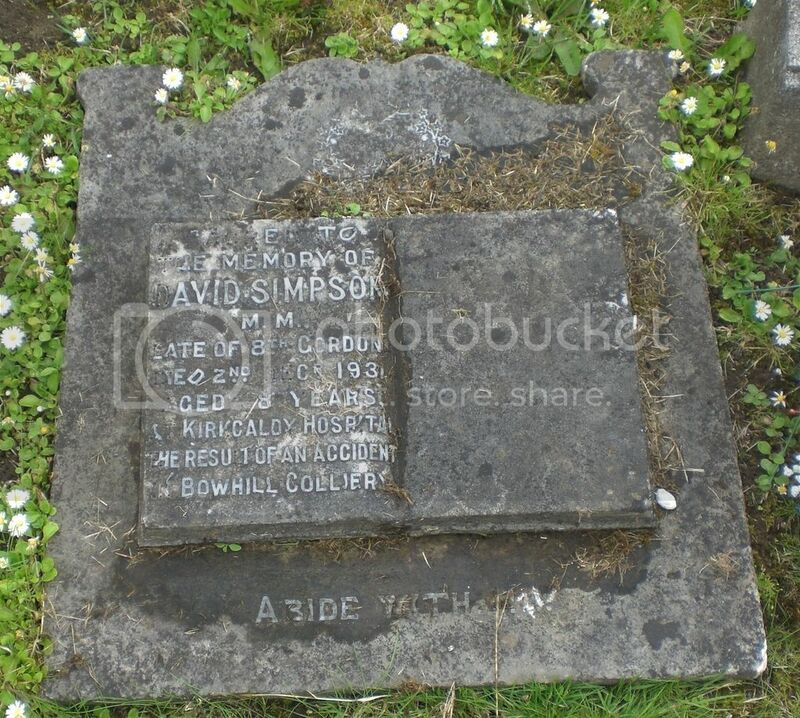 Son of Robert and Clementina Taylor, of Begg Farm, Kirkcaldy. Native of Auchterderran, Fife. Formerly Service No. 1952, Fife & Forfar Yeomanry. Headstone in Palenstine reads 'Forever With the Lord'. 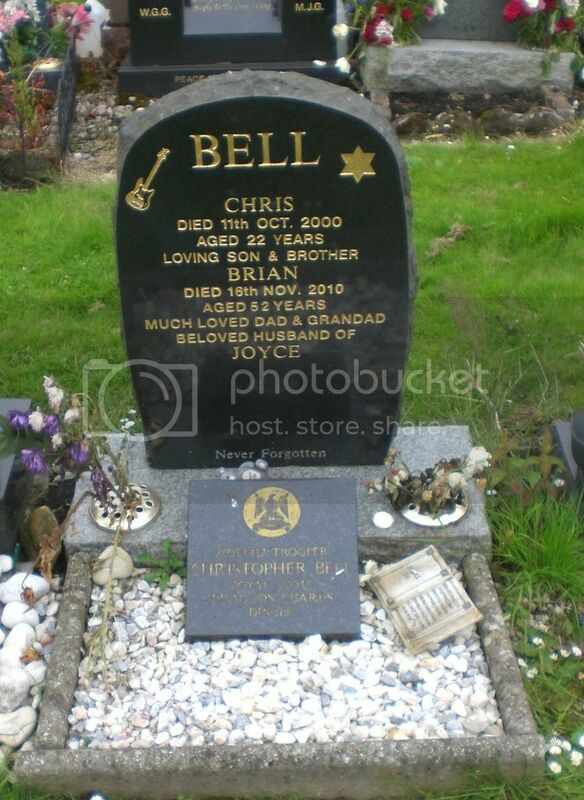 Family Headstone has Date of Death as 16th of November. His brother John fell in France. Additional Info. Son of Mr. and Mrs. William Taylor, of Cardenden, Fife. Cemetery/Memorial: Aire Communal Cemetery, Pas de Calais, France. Grave Reference: III. J. 25. Additional Info. 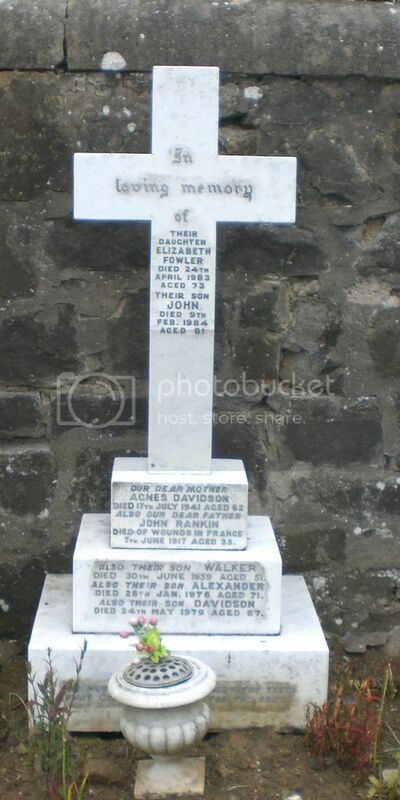 Son of Robert and Clementina Taylor, of Auchterderran, Fife. Headstone in France reads 'Forever With the Lord'. 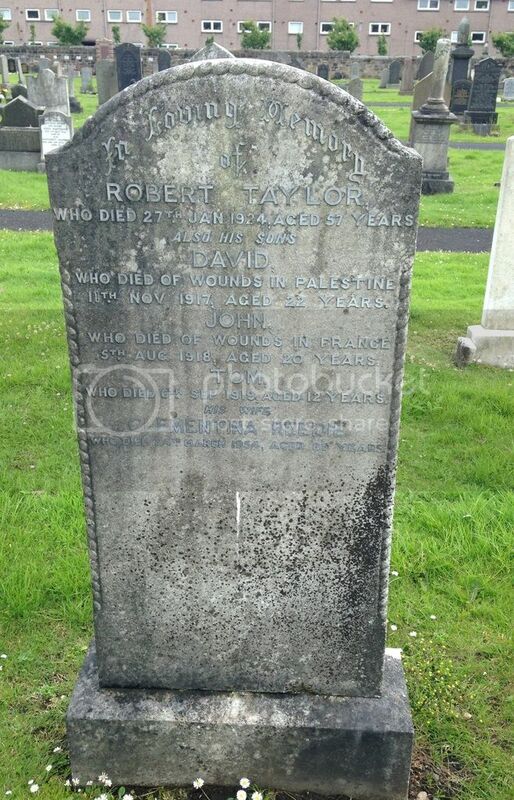 His brother David fell in Palestine. Cemetery/Memorial: Rangoon Memorial, Myanmar (Burma) Grave Reference: Face 8. Cemetery/Memorial: Fifteen Ravine British Cemetery, Villers-Plouich, Nord, France. Grave Reference: III.A.8. Additional Info. 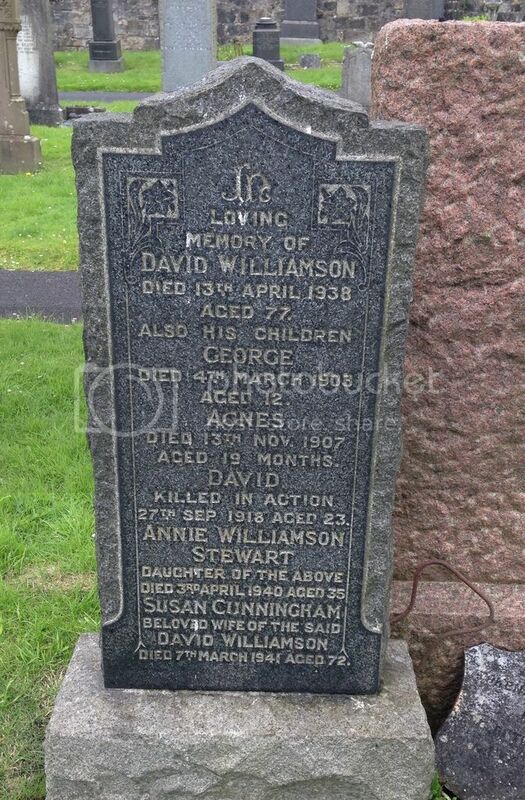 Son of David and Susan Williamson of 8 North Glencraig. Born in Lochgelly. Additional Info. 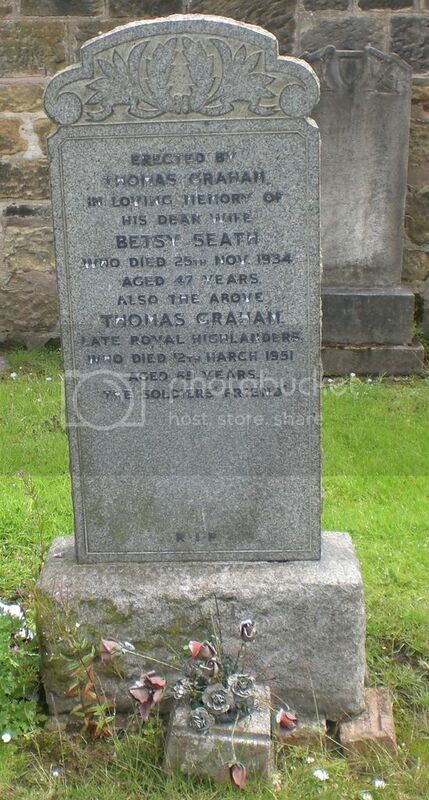 Husband of Betsy Seath. Posted: Sun Aug 28, 2016 7:28 am Post subject: Simpson, David. M.M.